In the arena of alcohol recovery, we often speak of what is known as private alcohol detox. Invariably that leads to the question of whether there is such a thing as public alcohol detox. There is, we just don’t tend to use that phrase to describe the services made available by the NHS. 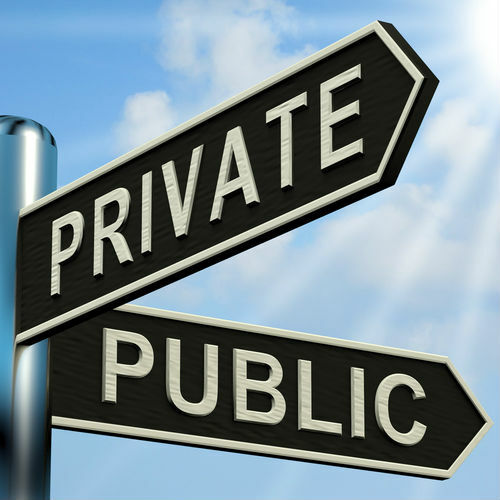 Furthermore, the differences between private and public treatment are dramatic enough that we feel it necessary to clearly explain both when assisting our clients. In the simplest terms possible, public detox treatment is treatment offered through the NHS at no cost to the patient. Any legal UK resident has access to such treatment simply by contacting a GP and setting an appointment to be seen. In some cases, an alcohol abuser can go directly to a detox clinic and get help without seeing a GP first. Private detox treatment is made available through privately owned clinics that may or may not work with the NHS to provide services. Private clinics are operated separately from the NHS and focus only on treating drug and alcohol addictions, behavioural addictions, and certain mental disorders. As a referral service, we are free to recommend whatever detox and rehab services are most appropriate for each client – be they accessed publicly or privately. The goal is to get the right kind of care for each client regardless of who provides it. As helpful as public programmes may be, the reality is that the services offered by the NHS are usually oversubscribed. This means patients are subject to waiting times before they can get into a programme they desperately need right now. While waiting, they are expected to avail themselves of support group meetings and other resources. Public clinics do the best they can to help address alcoholism, but they are simply not equipped to give patients the attention they need. The NHS has to worry about every illness or injury imaginable; they don’t have the luxury of focusing their attentions only on alcohol and drug recovery. It’s just the opposite with the private clinic. We would by no means discourage clients from seeking public services from the NHS if those services are most appropriate. However, we feel it’s necessary to explain some important things you’ll need to understand in order to know what is best. First and foremost, drug and alcohol treatments provided by the NHS are limited in scope. They have to be. The NHS has an incredibly broad mission that requires the organisation to provide virtually every kind of care imaginable. Such a broad mission prevents them from directing even a modest amount of their resources to any one area, including substance abuse and addiction. The kind of care and treatment you can expect from the NHS is not nearly as in-depth as what you’ll find at a private clinic. Next, public treatments do not involve residential stays except in the most extreme circumstances. The average person who utilises NHS-based detox and rehabilitative counselling will visit a public clinic on a daily basis before returning home at the end of each day’s treatments. This introduces a fair amount of distraction. Patients are distracted at home by conditions that enabled their substance abuse or addiction to begin with. Those conditions may include family and financial problems. The distractions of home are further enhanced by distractions experienced through daily life outside the clinic setting. These ongoing distractions can be problematic inasmuch as they prevent some patients from focusing all their energies on getting well. This is yet another reason we believe private treatment is a better option. In a private rehab clinic, all the distractions are removed. Patients live in a controlled environment so that everything they do is focused on recovery. Another significant advantage to private alcohol treatment is that detox is just the start of a comprehensive programme designed to help patients achieve permanent recovery. Where public services may nurse a patient through detox before leaving him or her to fend for him/herself, private clinics follow up with 3 to 12 weeks of rehab therapy and an additional 3 to 12 months of aftercare service. CBT – Cognitive behavioural therapy is one of the most successful therapies in the arena of alcohol treatment. It is a goal-oriented treatment that teaches patients how to recognise and overcome the triggers of addictive behaviour. Group Counselling – Multiple patients undergoing treatment at the same time can be brought together for group counselling sessions that encourage them to support one another and hold each other accountable. Art & Music – Some private clinics like to incorporate art and music into their therapy programmes. Art and music offer a means of release as well as an open door to discovering why people become addicts. Diet & Nutrition – Other clinics place a heavy emphasis on diet and nutrition with the understanding that the recovering alcoholic can substitute a tendency to drink with a new desire to develop a healthy lifestyle based on good nutrition. The four therapies listed here are just the start. Therapists have dozens of different options at their disposal. That is one of the main benefits of residential detox and rehab. Clinics and therapists are able to develop bespoke treatment plans for each client rather than putting everyone through a one-size-fits-all programme as public clinics are known to do. As for aftercare services, these are designed to support the recovering alcoholic so that he or she does not relapse. These services may include things such as individual counselling, group counselling, support group participation, and shared social activities. Job training and family counselling may also be available. How much does private alcohol detox cost? One final difference between public and private alcohol detox is cost. Public treatment is obviously offered at no cost to the patient; private treatment must be paid for one way or the other. This can be a stumbling block for alcoholics who don’t have the financial resources to cover the cost of private care. Contributions from family members and friends. We tend to advise clients who would benefit from private alcohol detox to exhaust every possible means of payment before turning to public services. In most cases, a way can be found to pay for treatment if the alcoholic really wants to get well. In cases where it is just not possible to pay for detox and rehab at a private clinic, we are more than happy to help clients connect with public services. Public and private institutions vary considerably in how they use prescription medications for detox and rehab. For example, a GP may prescribe one of three different medications designed to help the alcoholic stop drinking. This can be a fine strategy except for the fact that none of the drugs will be effective if a patient continues to drink while taking them. Furthermore, once a drug stops working it is likely to never work again for that patient in the future. Private rehab clinics tend to be a lot more selective about how they use prescription medications. When medications can be used to ease withdrawal symptoms, most private clinics will gladly embrace them. 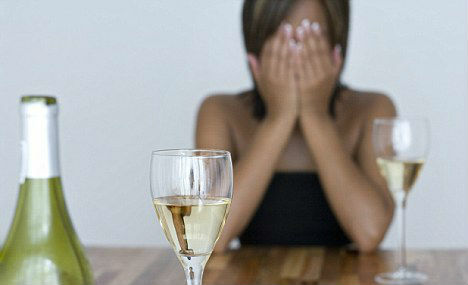 But the strategy behind private alcohol detox and rehab is one of helping the patient achieve permanent abstinence. The best way to do that is not through prescription medications; it is through teaching patients why they engage in addictive behaviour and how they can avoid those behaviours going forward. Don’t be afraid to ask questions if you are concerned about the prescription medications you might encounter during alcohol detox and rehab. You need to know whether putting additional drugs in your body is going to help in your situation. Prescription medications might help, and they might not. You now know the difference between public and private alcohol detox. What you do with this knowledge is entirely up to you. Your alcohol recovery can begin right now if you are willing to make the move to contact us on our 24-hour helpline or through this website. Your contact will set the wheels in motion and get you on the road to recovery. If you are struggling with alcohol, don’t wait.